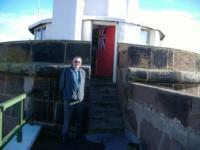 This page gives an insight into what the official opening day at Fort Perch Rock, New Brighton, was like! 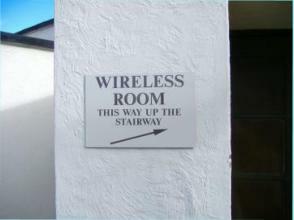 On Saturday 21st October 2006 we had the opening of the 1st radio station in the “Round Room“ of Fort Perch Rock. 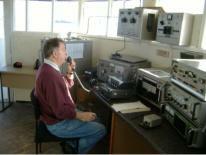 The station was that with Marconi Marine radio equipment from the vessel “Lady of Man” Callsign GVEQ that was owned by the Isle of Man steam packet company. 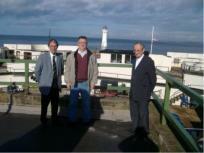 This ship used to be on a regular service between Liverpool and Douglas in the Isle Of Man. The Marconi marine equipment consisted of a Oceanspan 7 main transmitter, a Salvor 3 Emergency transmitter, Atalanta receiver, Sentinel Emergency receiver, Automatic keying device Autokey “N” also a Lifeguard“N” Auto Alarm, Aerial switching unit, Battery charging panel, Lodestar 3 automatic direction finder and finally a Marconi morse key type 365B. 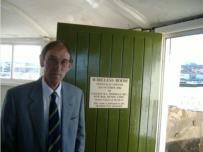 The opening ceremony was performed by Captain Robin Woodall. RD, RNR. Rtd. HCMM. FJMU. 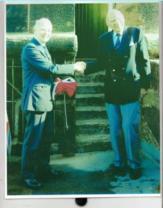 (ex Captain QE11) who gave a fine speech and who also unveiled the MN Red Duster flag from over the entrance door. 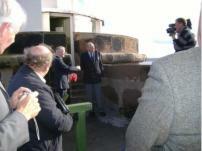 Captain Woodall then shook hands with Stan Mcnally and passed the Red Ensign back to him in an official opening gesture after declaring the museum “fully open”. 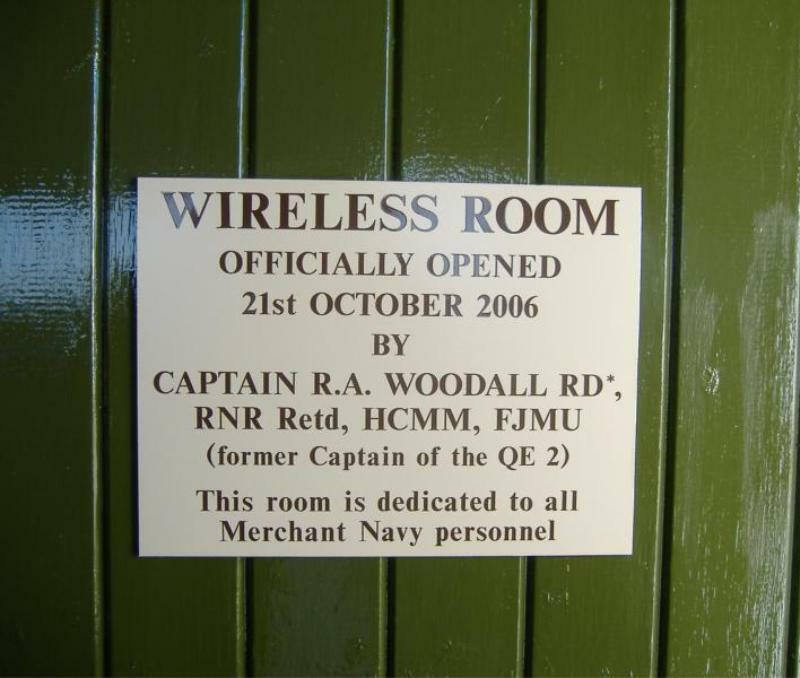 Stan, who’s idea it was to have the radio room museum so that marine radio would not be lost forever with the close down of shore and ships radio stations before the advent of the new radio rules of the GMDSS and satellite communications coming into force in 1999. Stan also gave a talk and thanked everyone for there attendance and hard work. 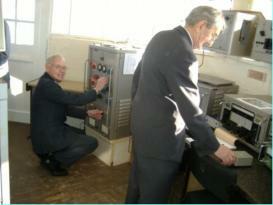 The ceremony was attended by the various newspaper agencies and local television companies, the fort curator Douggie Darroch and family, all of the fort volunteers who had made the radio room possible as well as friends and colleagues from the marine radio/electronics industry and specially invited guests. 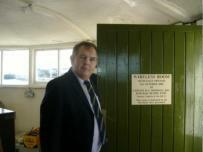 We all had a good look around the new wireless museum and everybody seemed very pleased and also looked forward to seeing the 2nd and 3rd wireless stations installed together with the marine navigational aids equipment in future years. Also on this day we had the “amateur radio station” callsign of GB4FPR on the air ably run by Bob an avid radio amateur making contact with UK European and USA amateur stations suitably marking the opening day celebrations. After watching some river traffic on the Mersey out of the “round room” windows (one of the best views of the river on Merseyside) we then retired to the fort’s café for a few celebration drinks, tea and tabnabs provided by Sasha and her colleagues. Plenty of chatting and “lamp swinging” also took place. This ended a very enjoyable “opening day” with a good sense of pride and achievement by all the volunteers. We took some photos on the day and thought it would be nice to share them here so that visitors to the website can get a real feel for opening day!